Visiting the City of Light is a once-in-a-lifetime opportunity but navigating Paris and its complicated transportation system can be a little intimidating at first. My husband and I recently returned from a 8-day trip to Paris. Having served an LDS mission in Paris about 11 years ago, myself and one other former missionary in our group were deemed the official navigators. We learned a few tips and tricks along the way which I will gladly pass on to you. Requires photo of yourself to be attached and visible on the front of the pass at all times. What if you are arriving on the weekend? 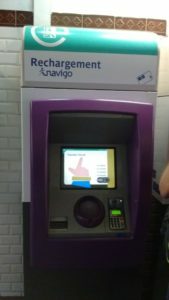 If you are arriving in Paris on a Friday, Saturday or Sunday, you won’t be able to purchase the Pass Navigo Découverte for the current week. 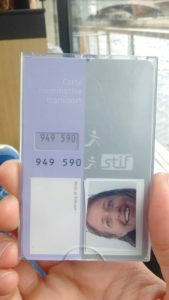 In that case, you can purchase a day pass called Ticket Mobilis that covers zones 1-5 or a Paris Visite Pass that is good for 1, 2, 3 and 5 days and will cover zones 1 to 3 or all five zones. See the price comparison table below for more details. How do you buy the Pass Navigo Découverte? When we arrived at the CDG Airport, there was a huge line of people waiting to buy their train tickets from the kiosks. You do not need to wait in this line. Instead, find a ticket office and purchase it there. This specific pass cannot be purchased at a kiosk. Make sure you indicate that you want the pass for the current week for zones 1-5. So, you’re at the Paris airport. Now how the heck are you supposed to find your hotel? Not to worry. Before your trip, print off this metro map and circle the metro stop closest to your hotel. This will be your main point of reference as you travel throughout the city. Click on the link below for an example of these steps above. Fortunately, Paris signs everywhere directing you where to go every step of the way. And most of the people in Paris and very eager to help if you simply approach them with a friendly, “Bonjour!” I also purchased The Paris Mapguide which is a 64-page guide to Paris museums and places of interest. If you’re lost, you can look up the name of the street that you’re on and voila, the mapguide will show you exactly where you’re at in relation to the nearest metro station. 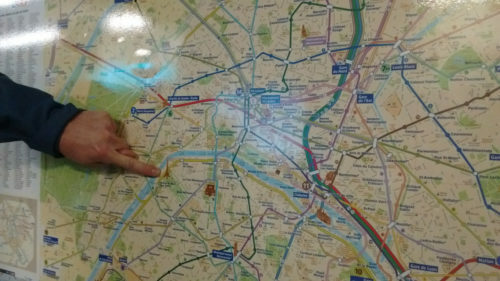 Not only will your cell phone be helpful in navigating from Point A to Point B while in Paris, you’ll find it invaluable as you search for hours of operation for a certain museum or how to say, “Where is the bathroom” in French. Here’s a few apps that will help you immensely. 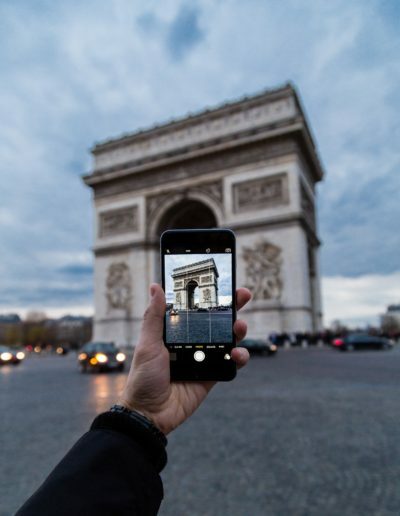 This free app is available in 10 languages and is designed to help you navigate the major places of interest in Paris and the surrounding region. Other features include, a detailed route planner, access without an internet connection, display route and geo tracking function, pedestrian guide and station and airport transfers. Paris Offline Map: This is free and simple app is a map of the capital that doesn’t require a data or internet connection. Its geolocation function will pinpoint your spot on the map, which updates as you move, making it quite difficult to get lost. Vélib’ officielle: This free app allows you to check the availability of the nearest Vélib bike station. 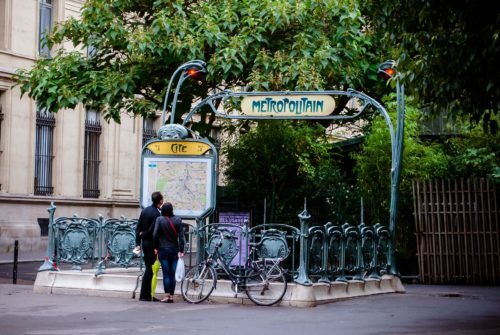 There are 1,800 bike stations throughout Paris situated about 300 meters apart. Traveling by bike through Paris was my preferred mode of transportation. It is so much fun to ride around all the tiny streets and breathe in the city air. For help to cover every aspect of your vacation visit Trip Advisor who is a great company to work with!